Reichenau island is located at Lake Constance between Radolfzell and Constance. 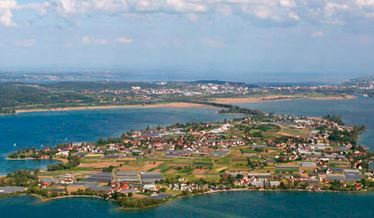 The 4.3 km² large island belongs to the southern Baden municipality of Reichenau in the district of Constance, which comprises island and mainland areas (5100 inhabitants). The island of Reichenau is just two kilometres away from the northern shore of Lake Constance’s Untersee. 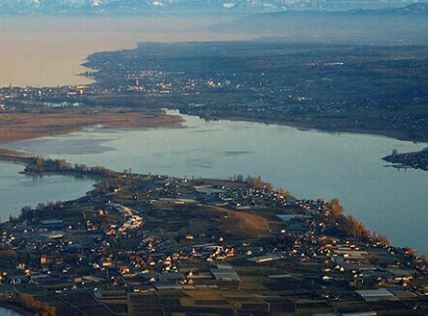 The 4.5 km long and maximum 1.5 km wide Reichenau is not only the largest island in terms of area, but with around 3,300 inhabitants also the most populous island in Lake Constance. The numerous fields still bear witness today to agricultural cultivation of the “rich Au”. Among the most beautiful points of interest of the island are the churches and monasteries, including the cathedral St. Maria and Jacob which is a Catholic parish church and former monastery church of the Benedictine abbey Reichenau. In addition the church St. George and the church St. Peter and Paul as well as many others. The island is therefore also called Klosterinsel (church island). Since 2000, the Reichenau monastery has been on the UNESCO World Heritage list. How to get to Reichenau ? If you want to visit the island, you do not necessarily have to take a boat over from the mainland. Since 1838, the approximately 20 m wide island dam, lined with rows of poplars, has connected Reichenau, today with a motorway, footpath and cycle path, the mainland with the island. The Reichenau island is a great destination for family trips. 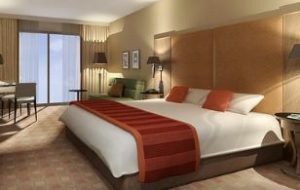 Cycling trips are as much a part of the possible activities as swimming and diving. 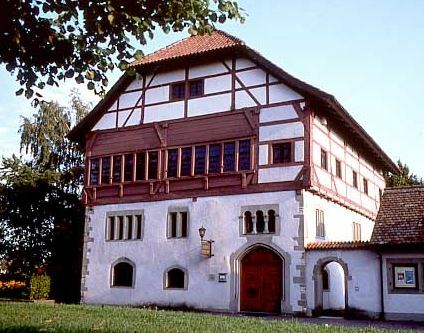 The museum of of Reichenau is located in the “old town hall” in the centre of the island. The building was built around 1200, the half-timbered building was built around the 15th century. It is one of the oldest half-timbered houses in southern Germany. With a canoe, one can drive around the whole island or down the Rhine in the direction of Konstanz. Sport and playgrounds offer many other possibilities to enjoy their holidays for children on the island of Reichenau.